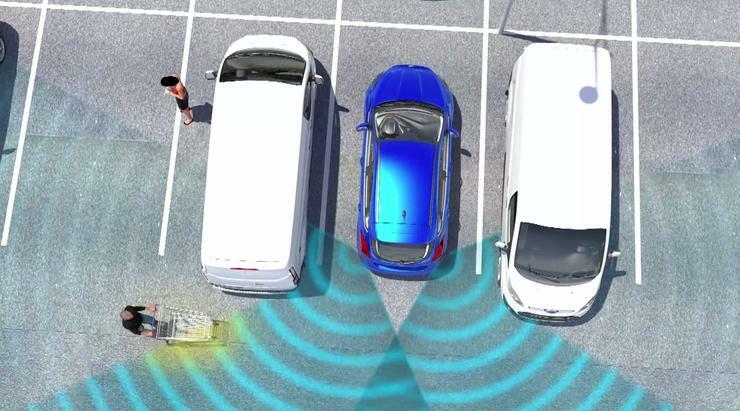 Ford Motor Co. said today that its next-generation advanced driver assistance systems (ADAS) will enable vehicles to automatically back into parking spaces, detect objects in the road to avoid collisions and prevent wrong-way driving. Ford already offers a plethora of ADAS features, including adaptive cruise control, forward collision warning, lane departure warning with land-keeping assist, rear cross-traffic alert, driver monitoring, adaptive high-beam assist, blind spot alerts and advanced parallel parking assistance. Ford offers the ADAS features on the Escape, Taurus, F-150, Fusion and Edge line of vehicles. The new autonomous systems are part of the company's commitment to triple its investment in developing driver-assist technologies, Ford said. "Driver-assist technologies help us all be better drivers because they enhance our ability to see and sense the road around us," Scott Lindstrom, Ford's manager of driver-assist and active safety, said in a statement. 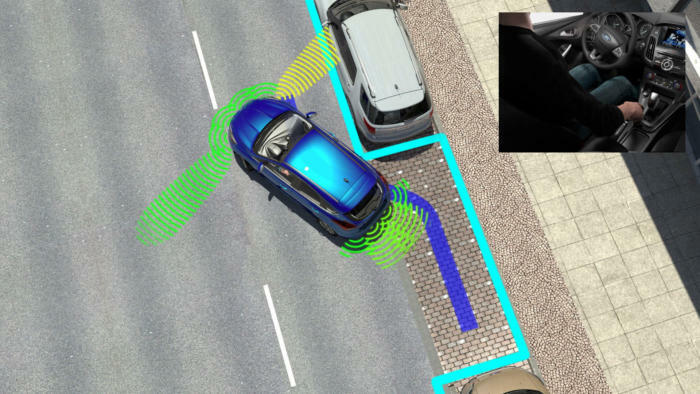 The new features will also allow next-generation Ford vehicles to avoid collisions when backing out of parking spaces. Called Cross Traffic Alert with Braking, the system uses rear-vehicle sensors to detect pedestrians or vehicles passing behind a car when the driver is backing out of a parking space and automatically sounds an alert and applies the brakes if the driver doesn't respond. A rear wide-view camera, on the in-car display, will also offer an alternative wide-angle view of the rear of the vehicle. Ford's new enhanced active park assist will perpendicular park at the push of a button, so backing into a space in a supermarket parking lot will no longer require the driver to twist around to look out the rear window. The enhanced active park assist also controls steering, gear selection, and forward and reverse movement to facilitate automatically entering and exiting a parallel parking space. "Parking is one of the most stressful experiences behind the wheel, and drivers struggling to find suitable parking spaces in urban areas can impact traffic flow," Dirk Gunia, Ford's European supervisor for driver-assist electronics, said in a statement. "Technologies like enhanced active park assist will help drivers feel confident about parking in spaces they might otherwise consider too small." Other features in development at Ford's European Research and Innovation Center in Aachen, Germany, include systems that steer around vehicles to help avoid high-speed collisions, and systems that can warn drivers from traveling the wrong way against traffic. The new technologies are expected to be available on Ford vehicles within two years. Another new feature will be Evasive Steering Assist, which, when operating at either city or highway speeds, can help drivers steer around stopped or slower vehicles to help avoid collisions. 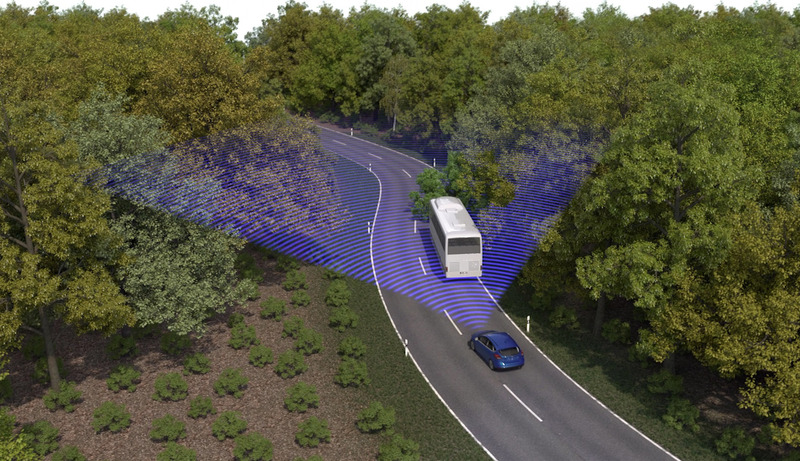 The evasive steering technology uses radar and a camera to detect slower-moving and stationary vehicles ahead on the roadway, and provides steering support to enable drivers to avoid a vehicle if a collision is imminent. The system is activated if there is insufficient space to avoid a collision by braking and the driver decides to take evasive action. Ford's new Wrong-Way alert technology uses a windshield-mounted camera and information from the car's navigation system to offer customers visual and audio warnings should they begin driving in the wrong direction against traffic. A camera-based, advanced front lighting system that widens the headlight beam at intersections and roundabouts after interpreting traffic signs. The Traffic Jam Assist helps the driver keep the vehicle centered in a lane, plus it brakes and accelerates to keep pace with the vehicle in front.